Since another Missouri law requires a 72-hour waiting period between counseling about abortion and having the actual procedure, Huntington needed to call every patient on the day’s schedule. She told them they could come to her clinic for the counseling but would have to go elsewhere for the abortion. Many patients didn’t pick up the phone. When they arrived, Huntington says, some were in tears after learning they had driven hours to Columbia to find that the clinic would no longer be able to perform the procedure. 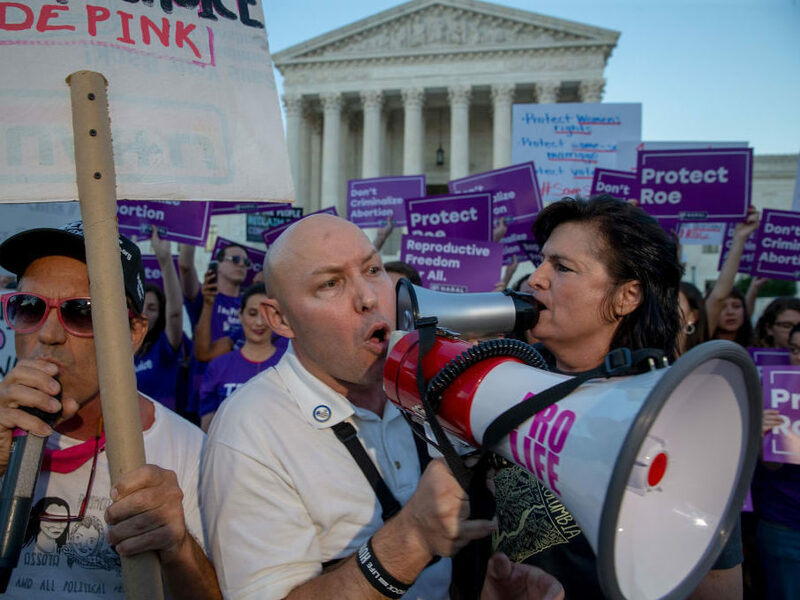 And, abortion-rights supporters in Missouri say, their state is an example of the kind of “abortion desert” that could become more widespread if the Supreme Court overturns Roe v. Wade. “Columbia is a microcosm of what is happening [nationwide],” says Kristin Metcalf-Wilson, the lead clinician for Planned Parenthood Great Plains, a group of clinics that includes the Columbia facility. Similar laws — which abortion-rights advocates call “targeted regulation of abortion providers,” or TRAP laws — are in place in 24 states. If Roe is overturned, Metcalf-Wilson says, they are likely to proliferate, since Roe is the legal precedent that many judges turn to when invalidating the TRAP laws. For instance, a 2016 Supreme Court decision overturned a TRAP law in Texas on the basis of the rights established in Roe. Emily Wales, the general counsel at Planned Parenthood Great Plains, says her team has ongoing litigation against the federal court’s ruling in addition to several other laws that make it harder for Planned Parenthood to provide abortions in the state — and is awaiting the court’s response. Anti-abortion-rights leaders in Columbia are feeling galvanized by the latest legal ruling, after working for years for this outcome, but they also say their work in the city isn’t done. Bouse says right now, she is working on getting supporters to the polls for the November midterm election. Her team in Columbia is working on what she calls a “relational voter program,” where activists encourage their friends and family to vote. “We’re in full election mode,” she says.